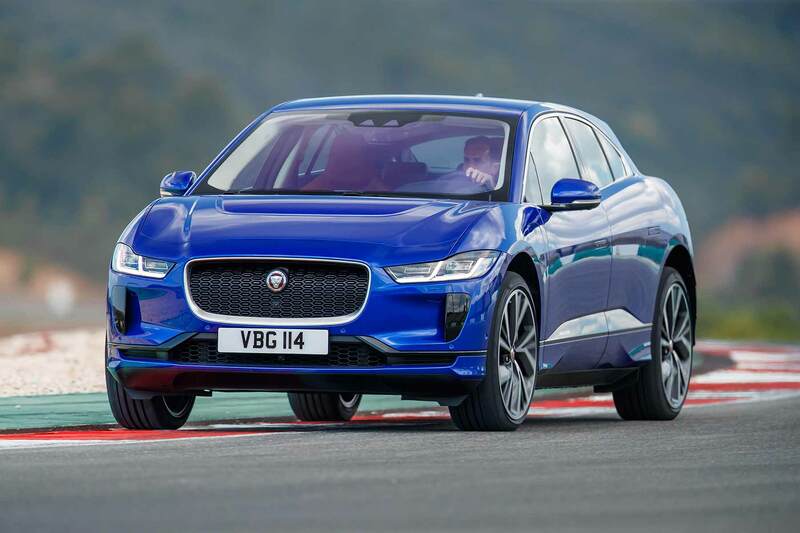 The Jaguar I-Pace has already beaten Audi, BMW and Mercedes-Benz. It’s a Tesla-fighter, a fully electric premium-brand car to take on the Model S and Model X. One of the big three was expected to be first to take on the punchy American start-up that’s stirred up the premium car sector. But no, out of nowhere, it’s Jaguar. This is designer Ian Callum’s C-X75 supercar concept finally making production. 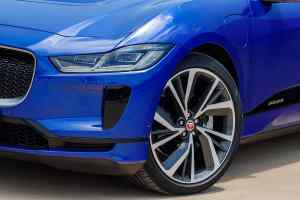 He admits the muscular, cab-forward supercar heavily inspired the I-Pace, and the links are obvious. He was, to put it mildly, a little frustrated the C-X75 was shelved. 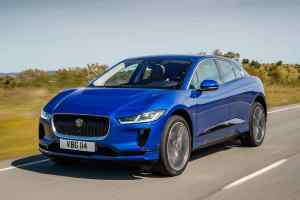 The I-Pace is recompense. So what’s it like? In so many ways, extraordinary. It has Jaguar’s best interior for years. An entirely new kind of high-performance driving experience. Of course, a talented chassis that rides and corners with wily grace. A roomy cabin, brilliant refinement, top-notch comfort and wellbeing. There’s so much to like here; Jaguar has beaten Audi, BMW and Mercedes-Benz, but not by delivering a rush job. And not by simply converting one of its current cars into electric, either. 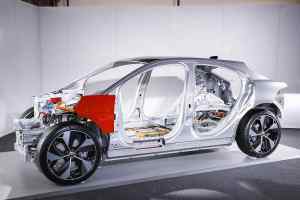 The I-Pace is a ground-up all-new car, with a bespoke electric car architecture, new 90kWh lithium ion batteries, twin electric motors (one front, one rear – yes, it’s all-wheel drive) and a single-speed gearbox. Jaguar even designed the motors itself; they have a driveshaft running through the middle, so they’re ultra-compact and fast-responding. 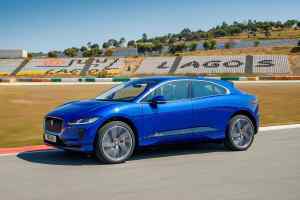 A clever engineer presented the idea for them one day to Dr Wolfgang Ziebart, the father of the I-Pace. He decided green-light them on the spot. 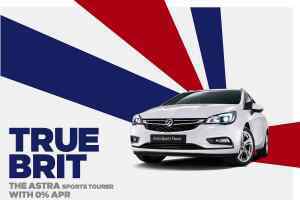 That’s the sort of spirit that’s gone into this car. 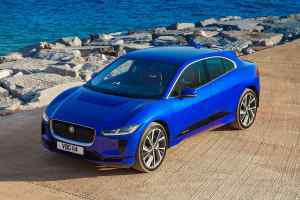 The Jaguar I-Pace is open for ordering now, and first deliveries are going to be here sooner than you think, too: from July. 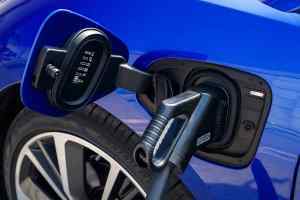 The four-model range starts at £63,495, or £58,995 once you take the government’s £4,500 Plug-in Car Grant off. Needless to say, there’s a feature-packed Launch Edition for £81,495 (or £76,995). Orders are building nicely; now we’re going to show you why you need to join them. The I-Pace appears long and low (although not that long; it’s under 4.7 metres, so more XE than XF), more crossover than SUV. The squared profile to the rear is a surprise in the metal (it’s 94 percent aluminium, more than any other Jaguar), giving it a neat notchback saloon appearance at the rear. The side profile is very smart, with rounded, flowing lines and an organic, sporty, lightweight look. The form and shaping really shows off the delicate touch of designer Ian Callum’s team. It’s the inverse of a Jaguar E-Type, he explains. That was all bonnet, because it had a massive engine up front. This has no engine, so it doesn’t need a long bonnet; it can instead take on the proportions of a mid-engined supercar, with a short nose, long wheelbase and rearward-biased mass. A supercar like, ooh, the C-X75. On the move, it looks mean and moody, svelte and stylish – and architecturally different to most other cars on the road. This isn’t BMW i3-style different for different’s sake, but modern and futuristic in a good way. It’s like the olden days, when cars were launched that really did look years ahead of their rivals. It makes a Tesla Model S look very underwhelming. Inside, you sit higher than you might first expect. 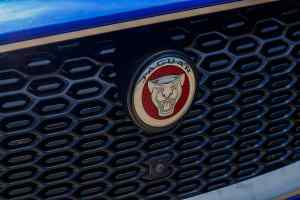 This is a Jaguar SUV, remember, despite appearances. 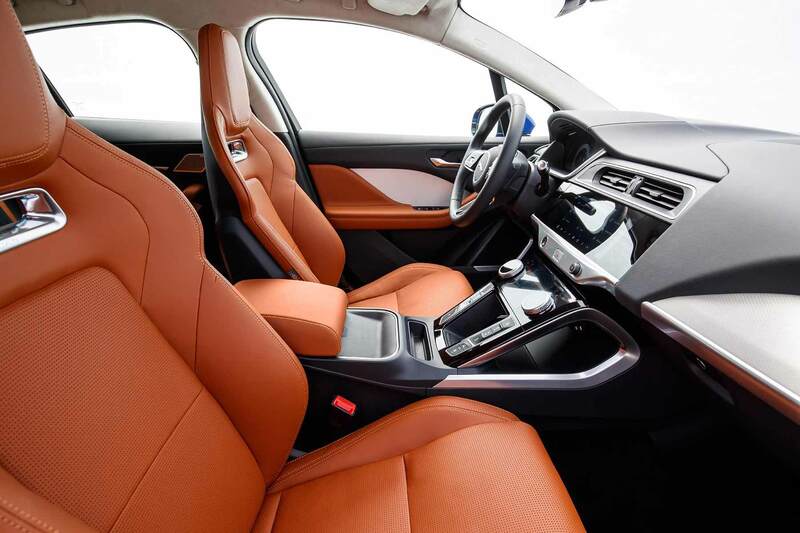 Seats are firm, and you face the most beautiful round steering wheel, positioned perfectly; legs stretch ahead, not down, so the driving position feels sporty. 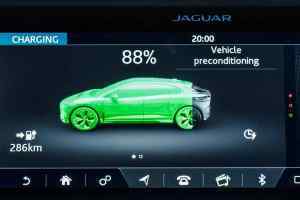 The dashboard is, by Jaguar standards, a triumph. 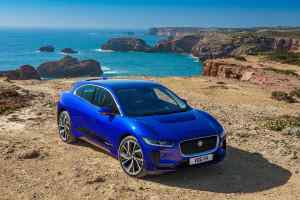 It’s a huge leap on from cars such as the XE and XF, with clean, interesting design and plenty of delightful touches, from the polished metal panel sitting below the infotainment screen, to the additional touchscreen below that, to the basic architecture that’s modern and clever – no Jaguar has ever had this much useful stowage. 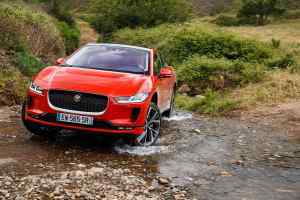 The grade of plastics is better than any recent Jag, too. The side glass drops low, as does the windscreen, which stretches far ahead. This all gives a light, airy feel and excellent forwards visibility (the rear is higher and the B-pillars also get in the way for over-shoulder glances). 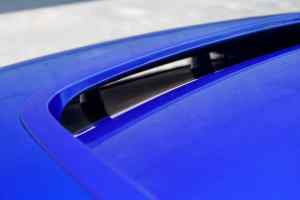 Glance in the door mirrors and clock the muscular, rounded rear wheelarches; it’s the same effect you get in an F-Type sports car, and is intentional. It’s roomy inside. 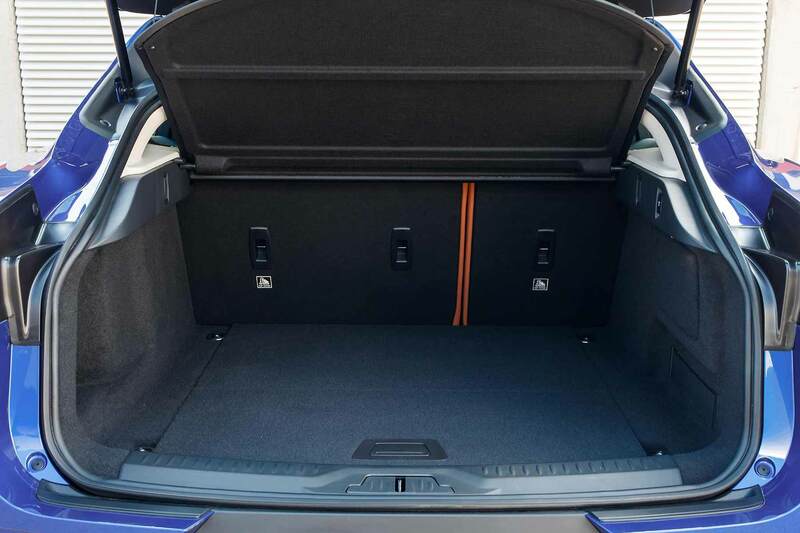 That massive wheelbase means rear passengers have lots of legroom, an effect spoiled only by front seats that don’t allow feet to slide fully beneath them. The rear bench is large and comfortable, the standard panoramic roof floods the interior with yet more light, and it all feels very nice and welcoming. The boot is huge as well. The batteries are mounted under the floor (Callum calls it a ‘skateboard’ chassis) so they don’t take up any awkward space elsewhere. 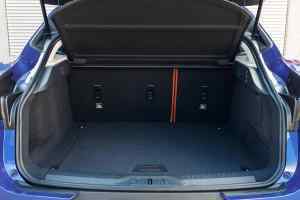 It means the load bay is wide, flat and long; Jaguar claims 656 litres, which seems ambitious, but it’s still a useful space. No need to have charging cables getting in the way, either: up front, there’s an extra boot (Callum again: he calls it the ‘froot’), whose 27 litres is perfect for swallowing charging gear. 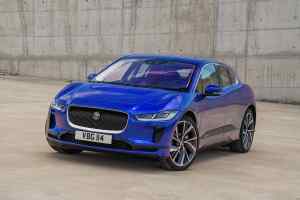 It’s still a novelty, whirring away in silence in an electric car, and particularly so when it’s a Jaguar electric car. 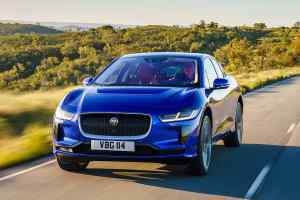 This is such a modern sensation, test drive customers are going to be amazed by it, just as we were when we set off in the Jaguar of the future. Of course, it’s quiet, but it’s particularly quiet by EV standards as the cabin is so well insulated and Jaguar’s tuned out a lot of the ‘white noise’ electric drivetrains make (Toyota Prius drivers, for example, will be familiar with the high-pitched whistle from their cars when running in EV mode… but there’s none of that here). Other pleasing first impressions include the weighty, clean steering – no artificial computer game overassistance, thankfully – a compliant, cushioned feel to the ride (all test cars were running on optional air suspension) and the sheer rigidity of the platform beneath. Bumping into potholes doesn’t rouse a noisy shudder through the structure, and the sense of integrity is very reassuring. 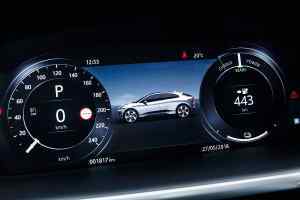 It’s an easy car to drive; simply press D and go, and as it’s a single-speed gearbox, acceleration is seamless. 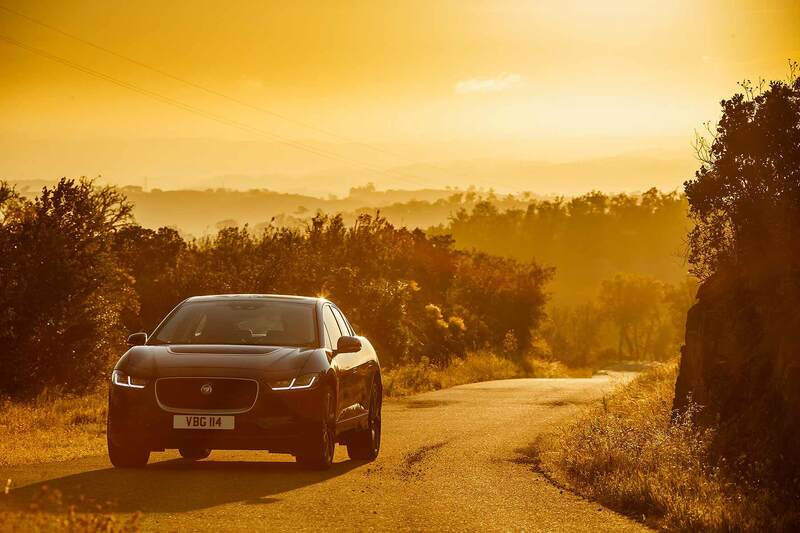 Jaguar juggles drive between front and rear motors proactively, so it’s always making best use of its pulling power – and with a total of 512lb ft, there’s a huge amount of it. This gives it a muscular, big-engine feel, like some lazy six-cylinder Jaguars of old. It’s easy to ‘ride the torque’ and make serene progress with flexes of your big toe. That won’t be how you’ll drive the I-Pace at first, though. Because it’s hard not to floor it and feel the full force of its drive. That’s part of the fun of electric cars. OK, it’s not quite as fast as a Tesla, and acceleration isn’t quite ‘ludicrous’ (or ‘stomach-churning’). 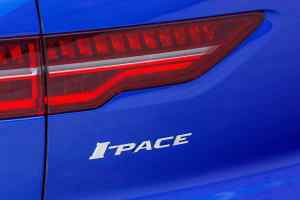 But it’s more than fast enough, and the fact acceleration is so easy to access means anyone can make an I-Pace go quickly with ease. 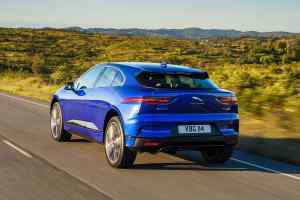 It feels a very modern, clean sort of drive, which is accentuated by what Jaguar calls a ‘one pedal’ drive: there are two stages of battery regeneration when you lift the accelerator pedal, either heavy or light. 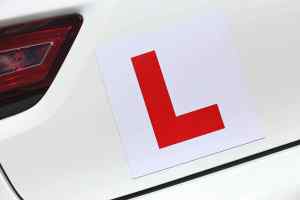 Pick heavy and, with a bit of practice, you’ll find yourself barely having to use the brakes, no matter what sort of road you’re driving on. It’s oddly intuitive, very satisfying – and it means you’re recharging the batteries every time you slow down. 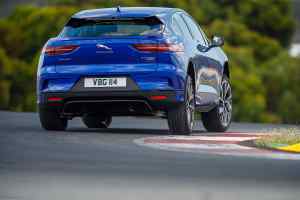 Pressing the brakes becomes almost an old-fashioned cop-out (particularly as the pedal feel is so fluffy and soft – an EV trait even Jaguar hasn’t yet solved). The rigid architecture delivers exceptional handling. 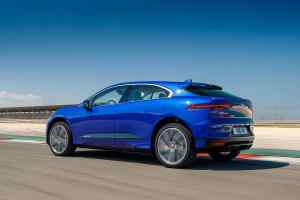 The I-Pace is pointy and tidy, with an extremely confident poise through corners that’s aided by superb traction, plentiful grip, accurate steering and terrific suspension integrity. Nothing seems to faze it, and even the grottiest road surfaces are generally shrugged off. 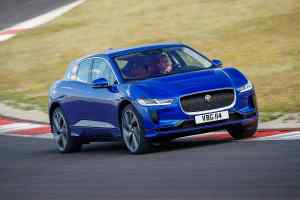 Sure, if you really throw it about, you’ll start to feel the effects of its 2.2-tonne weight (a session on the track showed this), but keep it tidy and the I-Pace will wow (which the circuit session also proved). 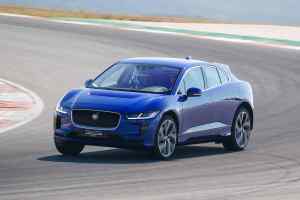 The I-Pace’s sporty proportions themselves give feel-good sensations to the driver. 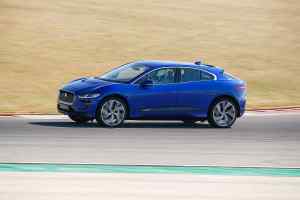 It feels long, with a low nose and low centre of gravity, and you can sense you’re steering wheels positioned right where they need to be, car rotating around them, which adds to the car’s accuracy and agility. Dive into corners and the nose tucks in with precision, feeding back plenty of feel and poise, and clever all-wheel drive means it digs into the tarmac four-square when you go back on the power. Such precision really defines the I-Pace drive. 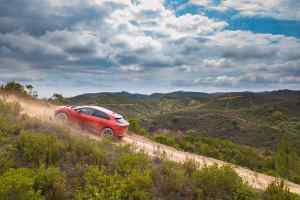 This, more than anything is why the I-Pace will undoubtedly get more power in the future. The basic chassis is so good, it’ll easily cope with it. 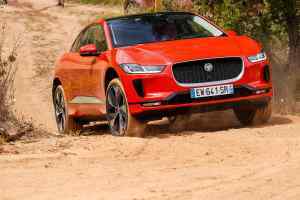 Settle back and the I-Pace’s appeal continues. It’s a very good fast-road cruiser, gliding along quietly and quickly. You can be liberal with the accelerator in utter confidence it won’t prove too much, which on the Portuguese test routes, saw us taking ever-greater liberties and never panicking. 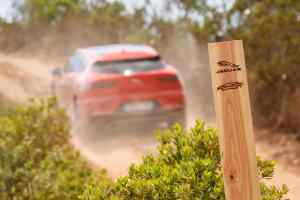 Apart from the G-forces and the quickly passing scenery, it was the noise of the tyres biting into the tarmac that told us of our speed, rather than blind fear: because the rest of it’s so quiet, you’re now able to hear the hard-worked rubber in action. What about range? Naturally, it’s pretty hard to judge, other than the fact we drove flat-out for two days and didn’t give it a second thought. The claimed WLTP figure is 298 miles, and we started the first day with 375 kilometres (233 miles) on 92 percent battery charge, and still had a third of it left by the end. Same for day two. 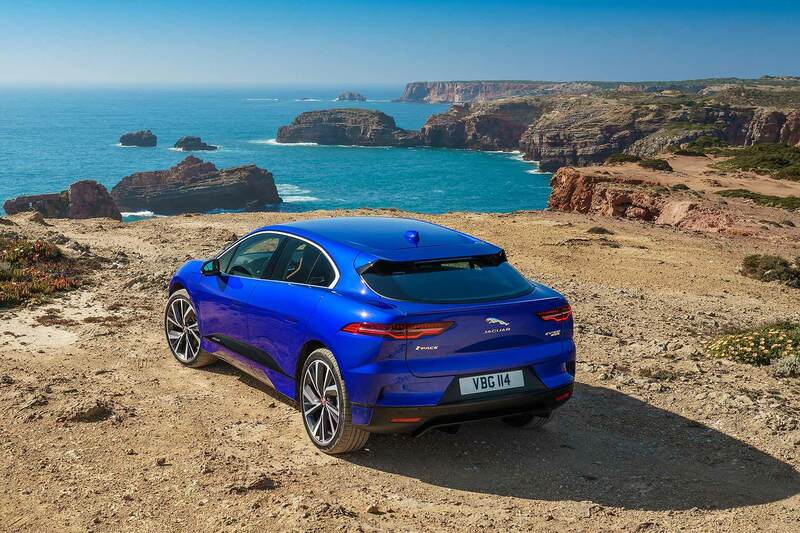 Charging takes a while if you don’t have a fast charger (Jaguar says nearly 13 hours for a full charge with a home wall box, 10 hours for 80 percent), but this is the same for all EVs. 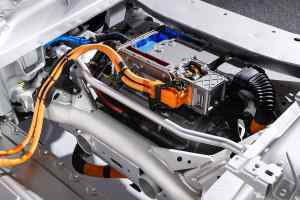 Around 300 miles from the 90kWh battery is plenty for starters, believes the firm. 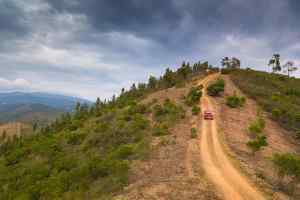 What about off-roading? 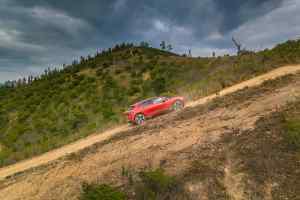 Pft, it’s an SUV-look thing, not a real off-roader you could argue. Not a bit of it. At one point, we turned left off the highway, drove through a river, then drove up a mountainside. The sort of activity you normally do on Land Rover launches. The I-Pace aced it. This was as unexpected as the session on the circuit, and it coped equally well. 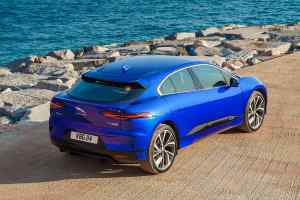 Another way the new Jaguar EV showed its strengths rather than being shown up. Oh, there’s a sound generator. You can have it in full-on quiet, where there’s active noise cancellation to silence the motors as much as possible. Or, normal mode, where the motor’s natural whine is allowed through (still less ‘whiney’ than some). Most amusing is the Dynamic mode, which sound-generates a sort of space-age noise that’s part turbo, part electric motor, part V8, part cartoon rocketship. It’s the EV soundscape of the future, apparently, and it’s rather fun. Traditionalists, we’ll get used to it. The Jaguar I-Pace is a landmark car. 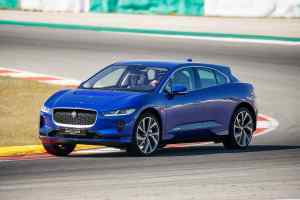 It’s a fully-formed all-electric vehicle that’s thoroughly convincing to drive, pretty to look at, pleasing to sit in, and sure to be exciting to own. 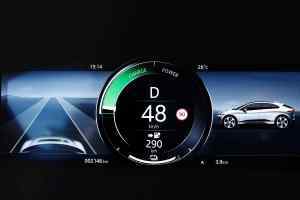 It will turn heads; it will be a talking point and give you kudos in a similar way Teslas do. Perhaps even more so. 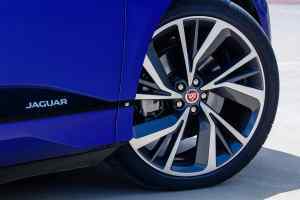 It’s an outstanding achievement by Jaguar, particularly as it is here before any of its premium rivals. Perhaps they will have cars that offer more range, faster acceleration, more practicality. Perhaps they’ll have bigger-capacity batteries and clever charging solutions. 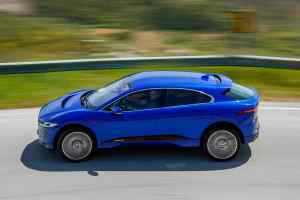 But they’re not yet here, and Jaguar is, which automatically makes the I-Pace a gamechanger. 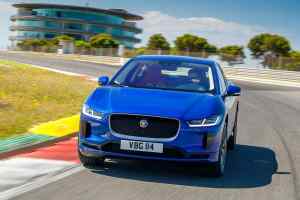 Jaguar has delivered the car all the others now have to beat. And it’s set an impressively high bar to battle over. 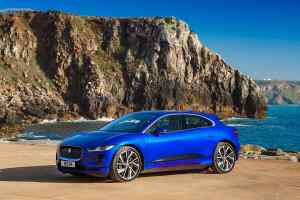 Such is the all-round ability of the Jaguar I-Pace; prepare to start seeing a lot of them out and about, and rightly so.